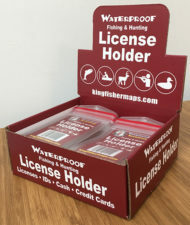 Waterproof License Holder – Kingfisher Maps, Inc.
Waterproof License Holder! Protects Fishing, Hunting, and Driving Licenses! Carrying ID’s, Bus Passes, and Credit Cards. 2.75″x4″ capacity. 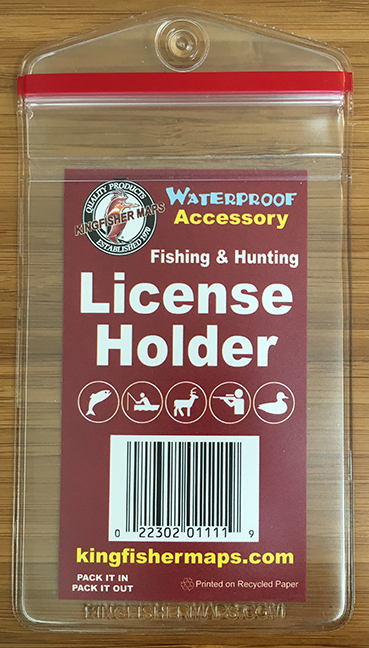 Waterproof License Holder! Protect Your Fishing, Hunting, and Driving Licenses! Carrying your Employee ID, Bus Pass, Credit Cards. Keep your important documents SAFE! 2.75″x4″ capacity.